This starter kit contains everything you need to get started in pen-making for a discounted price. What's inside the Deluxe Starter Kit? MT1 Pen Mandrel The pen mandrel is the starting point for turning pens. To turn different styles of pens, the same mandrel is used with different bushings for each style. The mandrel is supplied with five premium Slimline pen bushings. MT1 Mandrel Saver Tailstock Live Centre The mandrel saver tailstock live centre tightens directly onto your pen bushings, placing less pressure on your mandrel shaft, thereby prolonging the life of your mandrel. It is also much easier and quicker to use than the standard mandrel thumb screw. 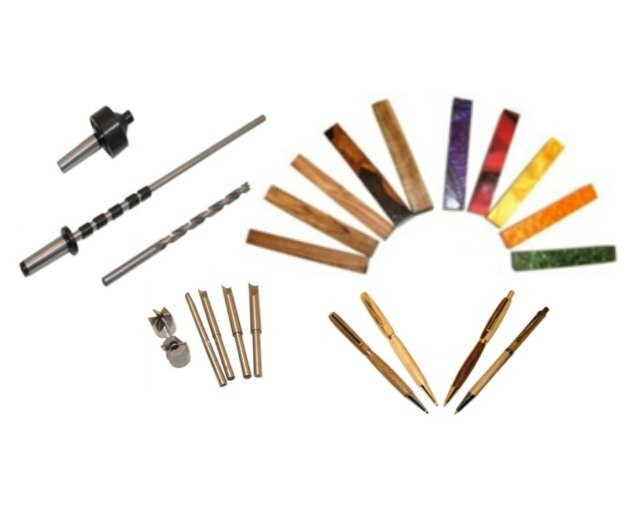 Pen Mill and Barrel Trimmer Kit Barrel trimmers may be regarded as optional items in pen-making, but once you have used one you will consider it essential. It greatly simplifies the task of getting a perfect edge on your pen barrels. 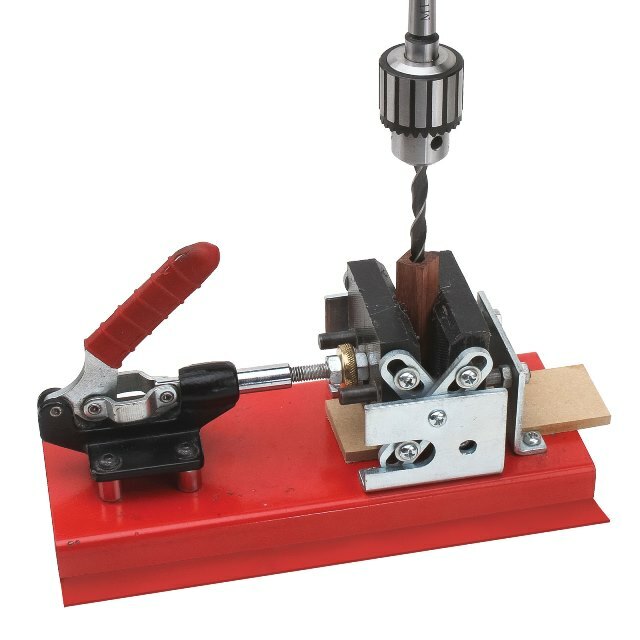 This barrel trimmer kit contains a cutter head that has a carbon steel cutter head. It also contains 4 different pen mills used for cleaning out any glue that may have leaked into the barrel. HSS Twist Drill Bit: 7mm A 7mm drill bit is required for Slimline pens. 10 Premium Slimline/Fancy Pen Kits and 3 Premium Slimline/Fancy Pencil Kits These pen and pencil kits are our most popular range and are manageable for those new to pen-making. The kits contain instructions and all the parts needed to make your first pens and pencils. 12 Assorted Pen Blanks Ten wood and two acrylic blanks for use with your pen and pencil kits to stimulate your creativity and explore the possibilities available in pen-making. The picture shows an assortment of completed Slimline pens and pencils as an example of what can be made with these kits. You will not receive any completed pens or pencils in your starter pack. The actual pen/pencil kits and acrylic/wood pen blanks supplied may differ from those shown in the picture. 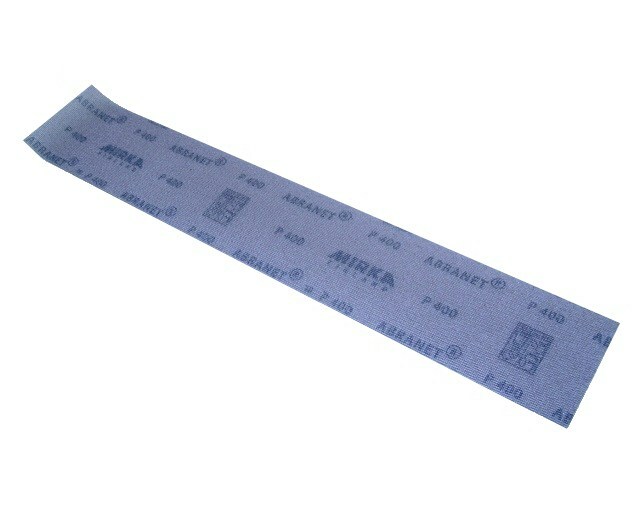 This product was added to our catalog on Tuesday 06 December 2016.